So much has happened during our first week of teaching! 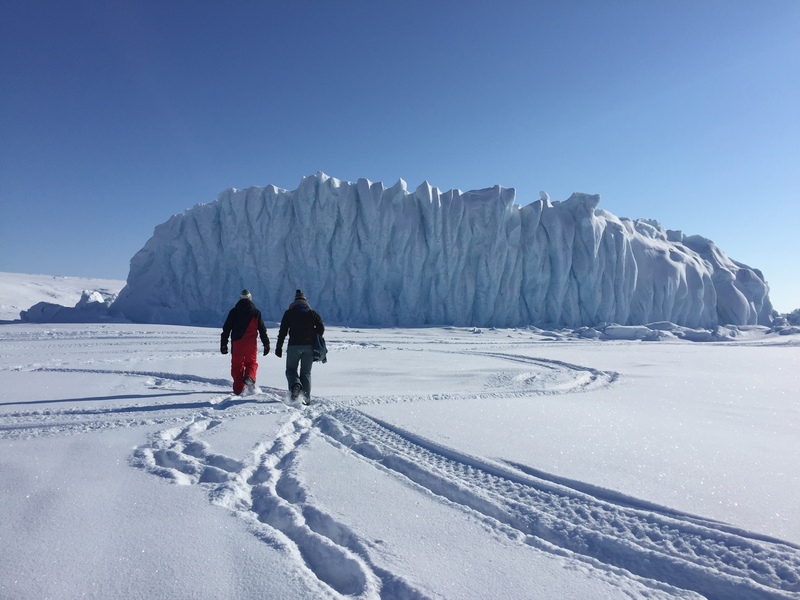 After meeting Lanny McDonald and seeing the Stanley Cup on Friday, we had the opportunity to walk to some of the nearby icebergs on Saturday with one of the teachers from the school. Ryan had a great time sliding down the back of it (but Sarah did not want a concussion…so she did not partake). They were #blessed. We also had a meeting with a nurse from the health centre who provided us with numerous pamphlets and resources to utilize during lessons regarding sexual health. After a restful Sunday full of Family Feud, Border Security, and the Stanley Cup Playoffs, we began our teaching endeavours on Monday. We taught 7A four times this week, touching on bullying, self-esteem, and mental health. We also taught similar lessons to the other grade 7, 8, and 9 classes. Aside from teaching, we started some after-school activities with the students! Notably, Sarah began a yoga club on Tuesday’s – this week, Nancy, Leah, and Leanna showed up from high school (and even some of the boys as well!). Ryan was able to to join some of the grade 7 students on the ice for hockey twice this week and hopes to continue attending in the coming weeks. This weekend we plan to visit Sirimilk National Park by ski-doo and Qamitik to see the mountains up close! Stay tuned for our next blog post as we teach substance abuse next week! ← Week One in the Classroom Complete!